Since 2006 Nick has been blazing a trail across the Internet, now having worked with over 500 clients to build and market their websites online. Nick is a qualified engineer, with bachelor and master degrees in computer systems engineering from Curtin University, Western Australia. He loves working with startups, and has helped in creating hundreds of websites and technology solutions for our clients, from intranets to booking systems, e-commerce portals to automated online marketing. Catherine (Cat) is Publish My Web's lead web designer and an outstanding digital graphic artist. Cat has had a hand in a large proportion of our website design work. 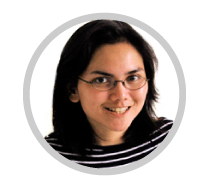 Cat was the perfect fit for Publish My Web team in 2009 with her advanced skills in Photoshop, Illustrator, Adobe Flash and web design. University qualified in Fine Arts - Visual Communications in 2001, Cat has over a decade of front-line design experience, working for organisations such as Branders.com and PhilBIO, as a graphic designer, artist, videographer and photographer. Rae is Publish My Web's project manager. She graduated with a Bachelor's degree in Information Technology in 2011 and she launched her career as a web designer. In 2014, she joined a US-based web consulting company as a project manager responsible for managing the development of web and mobile applications. 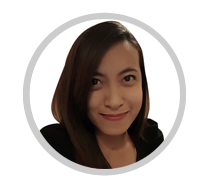 Rae joined the Publish My Web team in 2018 where she is now working on the front-lines with our clients to deliver outstanding web design solutions. 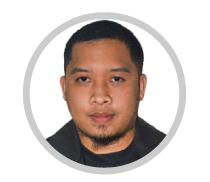 Raymond is a highly experience software engineer with a decade of experience in commercial software development and programming. He graduated in 2006 with a Bachelor's degree in Computer Science and started his career as a developer with a startup web company servicing Japanese businesses. 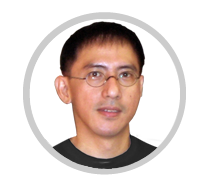 Throughout his career, Raymond has experience in different programming languages including Java, PHP, and C# .NET. 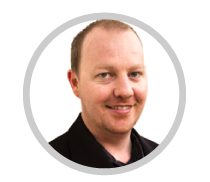 He has worked on a wide range of projects from stand-alone application development through to web-based systems. He also has experience in different databases including MySQL, MSSQL, Oracle, DB2, and Amazon Simple DB. Raymond joined Publish My Web in 2011 where he now works as a developer of our Publish My Web content management system. Jedrik is a web developer with 6 years of commercial experience in web design and development. He graduated in 2011 with a Bachelor's degree in Information Technology. Since graduating, Jedrik has worked as a web developer and designer, developing a number of websites and web systems. 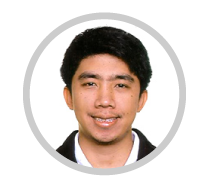 Jedrik is knowledgeable and skilled in different programming languages including Java, C#, PHP, ASP.Net, Python, Android and Ruby as well as database systems including MySQL, MsSQL and Oracle. He is also knowledgeable in SEO. Jedrik joined Publish My Web in 2013 as our web developer, working closely with the team on developing our content management system and future programming projects. Nani has been in the Advertising business for more than 20 years before joining Publish My Web. He worked as art director at several ad agencies dealing mainly with television commercials, print and social media. Here he honed his skills in Illustrator, In Design and Photoshop. Under the pressure of tight deadlines and unending client revisions, Nani developed a work ethic that is a valuable contribution and benefits the company. Nani joined Publish My Web in 2015 where he now works as a graphic designer.